Today I noticed that Outlook 2010 sends a Read Receipt of every email received in my Inbox. As soon as I read an email, a read confirmation is sent to the email sender. This is a very good feature of Outlook but sometimes we do not want the sender to know that the email has been read by us. 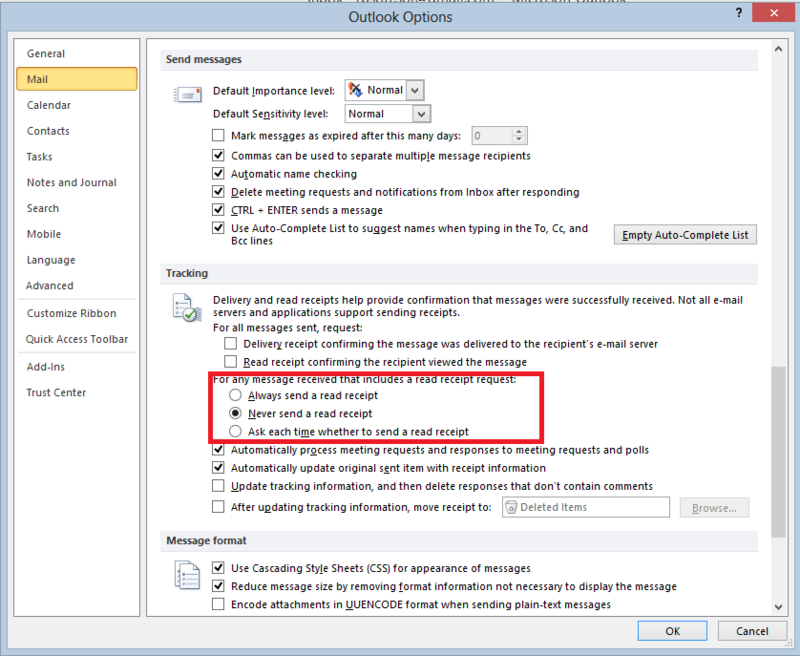 For this, we can change a small setting in Outlook that will disallow “Read Receipts” to be sent to the sender or will ask you everytime before sending the “Read Receipt”. Always Send a read Receipt — It automatically sends a read receipt to the sender. Never Send a read Receipt — It never sends a read receipt to the sender. Ask each time whether to send a read Receipt — It asks on reading every email if you want the read receipt to be sent to the sender. This can be annoying if you read so many emails in a day. Hope you like this post. You can get connected with me on Facebook, Twitter or LinkedIn also. In case you know any other way of changing this feature, let me know via comments.